Home / Atomizer / Kit / mech mod / Vape Kit / vape life / vape mod / Wismec / wismec reuleaux rx machina / wismec reuleaux rx machina mod / Can Wismec Win Over The Mech Market? Wismec is also a popular brand in the vape world. Reuleaux RX Machina was released by Wismec recently. Instead of their normal regulated kits, they exchanged things up a bit with the latest release of the RX Machina Kit. 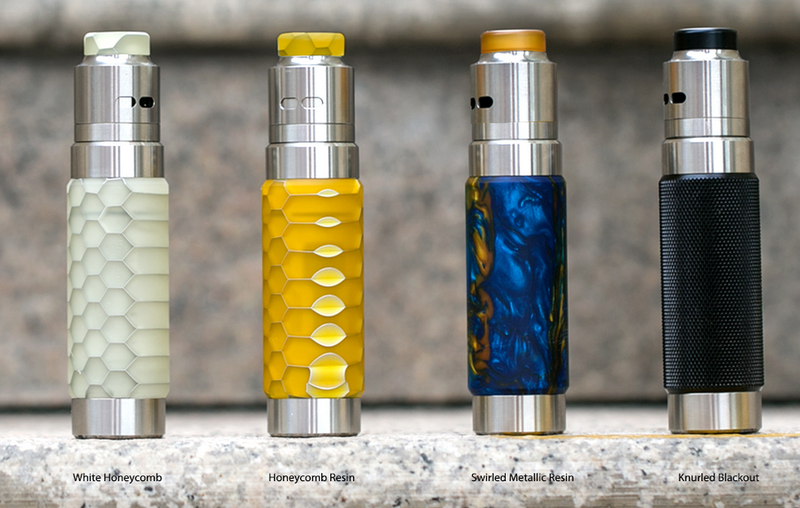 The vape kit distincts itself with an attractive Honeycomb Resin tube originated from the ExMachina Design aesthetic. The appearance is reminiscent of fresh cells or snakeskin depends on the limits of your imagination! In addition to the elegant appearance, it is also multi-functional. With a new button design, the mod can make full use of the space inside the tube, so making it compact. The vape mod Not only intelligent enough but also skillfully enough. It can hold the smallest 20700 or 18650 Mech batteries. This is an interesting feature that most tube mechs do not typically provide. The entire battery life and capacity is the name of the game since average coil resistances for vaping have dropped so much. The Guillotine RDA atomizer is also incredible. It comes with a detachable structure and using no traditional thread connection. As an entry-level mechanical package, the Wismec Reuleaux RX Machina with Guillotion RDA kit has a niche in the market. In summary, the vape kit is a wonderful thing. There are four colors for you to choice, and always a one you will fall for.